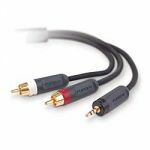 Computers & Electronics :: Computer Cables :: Audio Cables :: Tripp Lite 3.5mm Mini Stereo Audio Cable for Microphones, Speakers and Headphones (M/M), 6-ft.
Home/Computers & Electronics/Computer Cables/Audio Cables/Tripp Lite 3.5mm Mini Stereo Audio Cable for Microphones, Speakers and Headphones (M/M), 6-ft.
Tripp Lite 3.5mm Mini Stereo Audio Cable for Microphones, Speakers and Headphones (M/M), 6-ft.
6-ft. mini-stereo dubbing cord commonly used with multimedia speakers and other audio devices. 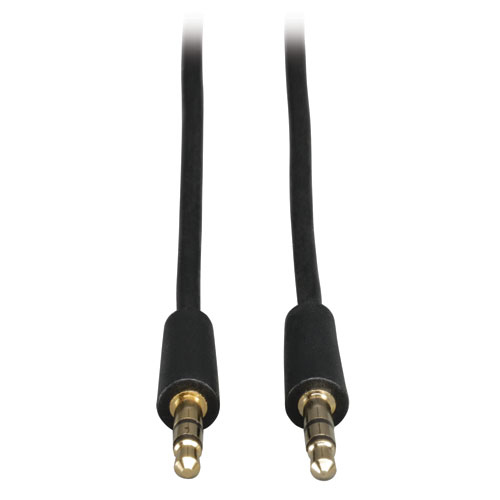 3.5mm stereo male to male connectors. 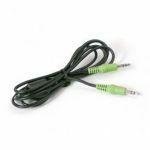 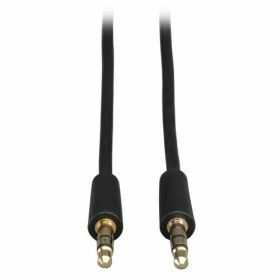 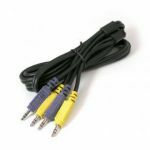 - Connect mini-stereo audio equipment up to 6 ft.